Join internationally renowned leaders in Eastern philosophy and practice and dive into the deep wisdom of Eastern ancient healing traditions. Discuss practical and modern applications of powerful practices like Qigong and Taichi. This Symposium welcomes beginners and experienced practitioners. 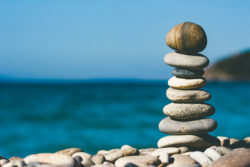 Daoist, Chan and Dharma meditations..
Lao Tzu: Tao Te Ching – learn from the world’s second most translated book in the world (besides the Bible) – Awaken one’s true nature and connection with the universe. Eastern medicine – how it can help heal and aid in the treatment of cancer, chronic pain, and physical injury. 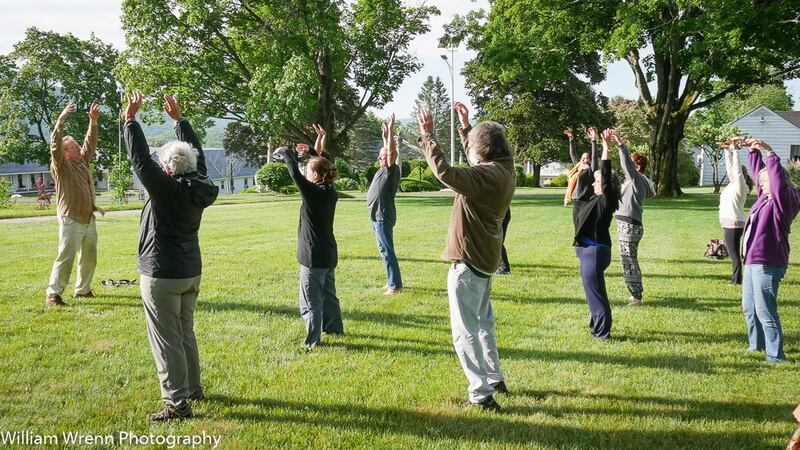 Tai Chi as a practical exercise in energy cultivation and mental focusing throughout aging. Women’s Qigong – a beautiful practice made unique for women’s health, healing, and empowerment. Chinese tea ceremonies. Participants will receive certificates for completing required courses during the symposium. Registration prices included tuition, meals and accommodations. Registration before April 15th is $450 for tuition. Couples also save 20% on a second person's tuition. Couples Queen and King are for 2 people. 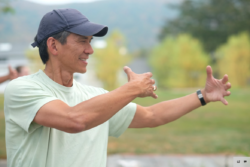 Junfeng Li is a Qigong master focused in Sheng Zhen Gong, the Qi Gong of Unconditional Love. 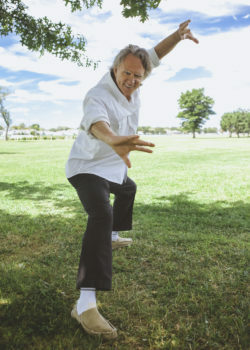 Sifu Terry Dunn is an expert instructor of Chinese martial, yogic, and healing arts with more than 39 years of training based in Los Angeles, CA. 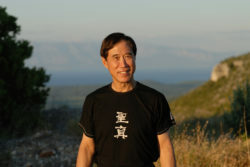 Terry taught Tai Chi and Qigong courses at Cedars Sinai Medical Center in Los Angeles for many years, and in 2000 wrote the first medical protocol in American medical history applying therapeutic Tai Chi and Qigong exercises to accelerate patients’ recovery from major surgeries while supplanting pain-killing drugs. In 2000 and 2001, Terry became the first Tai Chi trainer in the NBA, training the Los Angeles Lakers during their second championship season, conducting a 50-minute Tai Chi and Kung Fu warm-up and conditioning regimen at the start of every practice. 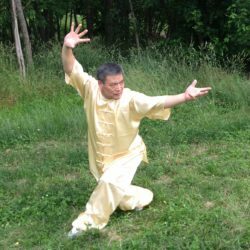 As Eastover’s resident Qigong Taichi teacher for the fall and winter, in addition to conducting two in-depth Intensive Taichi/Qigong workshops on Taichi For Health – Feb. 15-18, and Tao Tai Pan – July. 26-29, Master Dunn will teach 3 Ermei Flying Phoenix Qigong series March 29 – 01, June 29-01, and Sept 27-30th. Sifu Dunn also will teach weekly classes open to the public/Eastover community on Saturdays, Sundays and Monday, please check out Community Classes page. Liz Ely has studied Sheng Zhen Gong with Master Junfeng Li for over 20 years, and is a senior certified teacher. 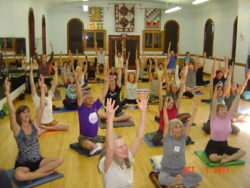 She lives in Nevada City, California and teaches local weekly classes and workshops. She has also taught workshops in Berkeley, Sonoma, and Santa Barbara, California. Liz currently serves on the boards of the Sheng Zhen Society of the Americas, the Santa Barbara Sheng Zhen Society and the International Sheng Zhen Society. She is a graduate of Stanford University, with a bachelor’s degree in English literature. He has been working and experimenting for more than 30 years with the Power of Vibrations and specific Harmonic Sounds Frequencies in order to accelerate the natural healing process of the body, mind and spirit. Jay Emmanuel’s activation & conferences are entitled, “The Healing Forces of Harmonic Sounds and Vibrations and The Healing Power of the Human Voice and the Mind”. He has launched concerts, seminars and workshops as part of “The Power of Harmony Organization, Health & Wellness Network, which he founded. Solala Towler is the President emeritus and founding board member of the National Qigong Association, US. Fukui Yang currently teaches Chinese Medicine at the Pacific College of Oriental Medicine as well as Taijiquan and Qi Gong at the Confucius Institute at SUNY College of Optometry. 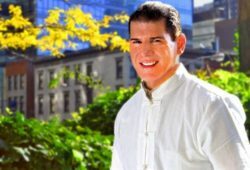 Rick Barrett has been teaching Chinese internal martial arts and practicing energy healing in New York City for over a quarter century, and has been studying for almost forty years. He is the founder of Tai Chi Alchemy and has published two books, Taijiquan: Through the Western Gate and Finding You in a World of It.